Hedge funds are known to underperform the bull markets but that’s not because they are bad at investing. Truth be told, most hedge fund managers and other smaller players within this industry are very smart and skilled investors. Of course, they may also make wrong bets in some instances, but no one knows what the future holds and how market participants will react to the bountiful news that floods in each day. Hedge funds underperform because they are hedged. The Standard and Poor’s 500 Index returned approximately 13.1% in the first 2.5 months of this year (including dividend payments). Conversely, hedge funds’ top 15 large-cap stock picks generated a return of 19.7% during the same 2.5-month period, with 93% of these stock picks outperforming the broader market benchmark. An average long/short hedge fund returned only 5% due to the hedges they implement and the large fees they charge. Our research covering the last 18 years indicates that investors can outperform the market by imitating hedge funds’ stock picks rather than directly investing in hedge funds. 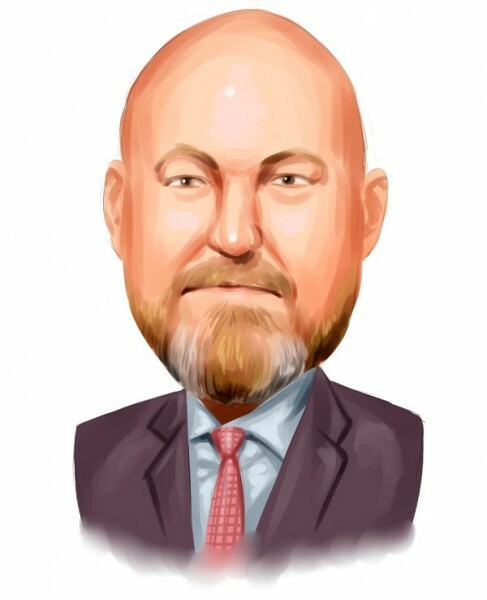 That’s why we believe it isn’t a waste of time to check out hedge fund sentiment before you invest in a stock like Autohome Inc (NYSE:ATHM). Autohome Inc (NYSE:ATHM) investors should pay attention to a decrease in support from the world’s most elite money managers of late. Our calculations also showed that ATHM isn’t among the 30 most popular stocks among hedge funds. In the 21st century investor’s toolkit there are several metrics stock traders put to use to evaluate publicly traded companies. A pair of the most useful metrics are hedge fund and insider trading sentiment. We have shown that, historically, those who follow the best picks of the best money managers can beat their index-focused peers by a superb amount (see the details here). Let’s analyze the new hedge fund action regarding Autohome Inc (NYSE:ATHM). Heading into the first quarter of 2019, a total of 14 of the hedge funds tracked by Insider Monkey were bullish on this stock, a change of -22% from the previous quarter. 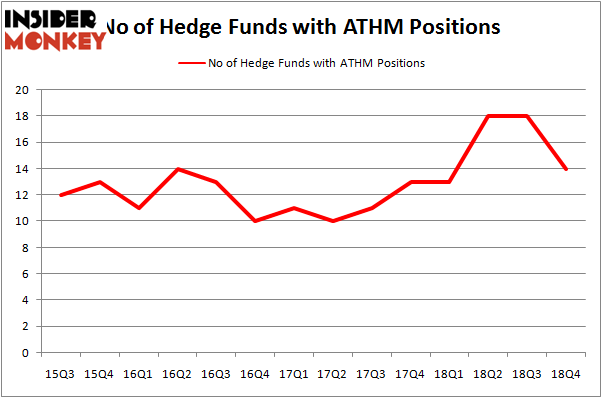 The graph below displays the number of hedge funds with bullish position in ATHM over the last 14 quarters. With hedge funds’ sentiment swirling, there exists a select group of notable hedge fund managers who were boosting their stakes significantly (or already accumulated large positions). More specifically, Orbis Investment Management was the largest shareholder of Autohome Inc (NYSE:ATHM), with a stake worth $665.3 million reported as of the end of September. Trailing Orbis Investment Management was D E Shaw, which amassed a stake valued at $54.5 million. Arrowstreet Capital, AQR Capital Management, and Sensato Capital Management were also very fond of the stock, giving the stock large weights in their portfolios. Because Autohome Inc (NYSE:ATHM) has experienced a decline in interest from the aggregate hedge fund industry, we can see that there were a few hedge funds that decided to sell off their positions entirely heading into Q3. At the top of the heap, Noam Gottesman’s GLG Partners sold off the biggest investment of the 700 funds monitored by Insider Monkey, valued at close to $12.5 million in stock, and David Halpert’s Prince Street Capital Management was right behind this move, as the fund dropped about $9.5 million worth. These moves are important to note, as aggregate hedge fund interest fell by 4 funds heading into Q3. Let’s also examine hedge fund activity in other stocks similar to Autohome Inc (NYSE:ATHM). We will take a look at BanColombia S.A. (NYSE:CIB), Macy’s, Inc. (NYSE:M), AGNC Investment Corp. (NASDAQ:AGNC), and Molson Coors Brewing Company (NYSE:TAP). This group of stocks’ market caps resemble ATHM’s market cap. As you can see these stocks had an average of 21.25 hedge funds with bullish positions and the average amount invested in these stocks was $450 million. That figure was $774 million in ATHM’s case. Macy’s, Inc. (NYSE:M) is the most popular stock in this table. On the other hand BanColombia S.A. (NYSE:CIB) is the least popular one with only 6 bullish hedge fund positions. Autohome Inc (NYSE:ATHM) is not the least popular stock in this group but hedge fund interest is still below average. This is a slightly negative signal and we’d rather spend our time researching stocks that hedge funds are piling on. Our calculations showed that top 15 most popular stocks among hedge funds returned 19.7% through March 15th and outperformed the S&P 500 ETF (SPY) by 6.6 percentage points. Hedge funds were also right about betting on ATHM, though not to the same extent, as the stock returned 18.3% and outperformed the market as well.